1. Buy a new car. I started this blog in June of last year and have been working on slowly adding to and improving this space. I’m so excited every time I see someone has left a comment or I have another follower! Sharing my projects and ideas on this blog has been such a great motivator for me to document my projects and to do my best work. I would like to learn how to improve the design and layout this year, and to share more tutorials and projects. 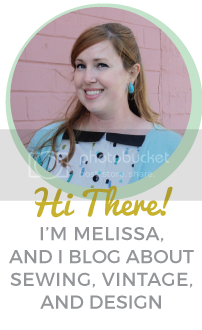 I’m an avid blog reader who is constantly amazed and inspired by the things people post, and I love being a small part of that and adding to the blogging community. This is something I’ve been wanting to do for a long time, and I think this year is when I should finally make it happen! I have Photoshop Elements on my computer, which I have barely scratched the surface of! The few things I can do have figured out on my own through trial and error. Phillip just got the latest version of Photoshop (CS6) and I would love to try my hand at learning at least the basics on it. I’m going to try to teach myself with the textbook he used last semester, and if I enjoy it, possibly look into taking a beginner’s class this summer. 4. Decide on graduate school. I have been looking into going back to school to get my master’s degree in counseling in order to become a school counselor, but still haven’t quite decided if it’s what I want to do. I would really like to continue researching and solidify a plan by the end of 2013. 5. Do 12 new sewing projects this year. That’s one every month! I have so many ideas for projects to create and I’m constantly finding great fabrics and supplies at thrift shops, my only limitation is finding time! I’m setting what I think is a realistic goal of making one item per month (and of course sharing it here on the blog!). Oh, and I still need to start on this month’s project! 6. Make a budget and stick to it. This is going to be my most important goal of the year. 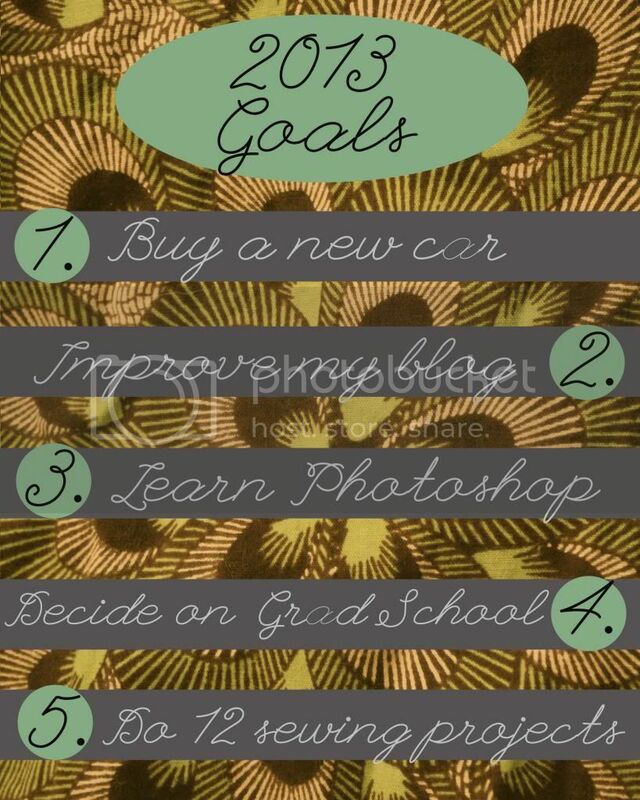 I have a lot of important life events coming up in the next few years (school, move, start saving for a home) as well as a car payment and I would really like to be in a better place financially to be able to accomplish those when the time comes. I’m resolving to create a realistic budget and (stick to it!) in order to feel in control of my finances and be able to accomplish my goals. 7. Try out an antique space. This is another one I can check off the list (sort of), because of course it’s a work in progress. As I shared in this post, we moved into our antique space about three weeks ago, and since then we have been adding, changing, and improving it at least once per week. As of yesterday, we had finally made enough sales to cover (and slightly exceed!) or space rent, which is a big relief. We still have about ten more days, in which we’re hoping sell more to make a good profit for all of our efforts. 8. Save all money from crafts and vintage sales. This is one of the most important things I would like to accomplish from my budget overhaul. Currently, all of the money I make from Etsy, Ebay, and Half.com sales slowly trickles into my checking account and then gets put towards my credit card bill and who knows what else. I would really like to (after reigning in my spending) set all of that money aside for the future, and get excited and motivated as I watch it grow. I made an online sales record form to track my sales and true profits (after commission, listing fees, etc) and have been tracking all of the sales I’ve made since January 1st. All said and done, I’ve made about $65 this month. Not too bad, right? Phillip and I have been talking about this since shortly after we got together. We are currently living in a great house in Phillip’s hometown of Santa Maria, but we would like to move to a town that neither of us actually grew up in. San Luis Obispo is slightly more urban than our hometowns and has a younger population and we think it will be a fun place to try out together. We decided to wait until this spring or summer to look for a place, since it’s a college town and the rental market is very much tied to the school schedule. Wish us luck! 10. Sell at two craft fairs. I had a great time planning for and selling at the craft fair my aunt organized at the Halcyon store, and I would love to sell at it again next November as well as the other one coming up this May. It was so gratifying to make a little money from my handmade items and I really got into creating the displays and signs to show my work in the best light. I think I’d better get started on some inventory! Thanks for stopping by! Anyone have any new years resolutions or goals for 2013? I would love to hear them!